Lori Ellen Malloy (née: Thul), aged 58 years of Moose Jaw, SK passed away on Saturday, February 2nd, 2019. Lori was born in Moose Jaw, SK and received her education at Marquis, SK and Vanier Collegiate in Moose Jaw. She was a member of the Marquis 4H, where she became an accomplished knitter. In 4H she fulfilled her passion and love of animals, especially horses. Lori’s career with horses took her to Lloydminster and later to Calgary, AB where she met her future husband, Dave Malloy, and together they raised two children. They moved to Nova Scotia to raise the children, then came back to Moose Jaw in 2006. She was predeceased by her father, Gordon; and brother, Drew. Lori will be lovingly remembered by her son, Shane; daughter, Stephanie (Mark Roberts); mother, Shirley Thul; brothers, Gary (Gayle), Wayne (Diane), and Vern (Lori); sister, Sheila (Greg); as well as numerous other relatives. The Funeral Service will be held on Thursday, February 7th, 2019 at 1:30 p.m. in Moose Jaw Funeral Home. Deacon Lamont Dyck will officiate and interment will take place at St. John’s Cemetery in Marquis, SK. Flowers are gratefully declined. As an expression of sympathy, donations in Lori’s name may be made to the St. John’s Cemetery Fund, Box 54, Marquis, SK S0H 2X0. Arrangements are entrusted to Moose Jaw Funeral Home, 268 Mulberry Lane. Todd Sjoberg, Funeral Director 306-693-4550. I have many wonderful memories of Lori as we all rode horses for many hours together in and around Marquis! My sincere sympathy is extended to you Shirley and to all your family in the tragic loss of Lori. I remember as she grew up that she has a love for animals especially horses. She will be missed. So sorry to hear of your loss. My prayers are with you at this time. We want to express our sincere condolences to you Shirley and your family. May your memories give you peace and comfort. My deepest condolences go out to the Shane and Stephanie and the Thul and Malloy family at this very sad time. I knew them when they lived in Lr. Sackville NS. My love and prayers go out to all. 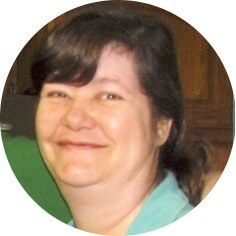 Our sincere sympathy to you Shirley and to your family in the tragic loss of Lori. Our prayers are with you all. I am so sorry to hear of your loss Shirley & families! My thoughts & prayers are with you all. I am very sorry about your loss. Lori lived in temple towers that is where i met this wonderful person. That is how i knew Lori. To Shirley,Sheila,Greg,Matthew and all the family: Ross and I are very sorry for your tragic loss, we will be thinking of you at this difficult time. Louise and I are deeply saddened to hear of Lori’s passing. Our thoughts and prayers prayers are with your whole family. We want to express our sincere condolences to you Shirley and the Family. Lori was so great with animals and passionate about horses.